Alongside the release of iOS 12.1.3, the latest update to the iOS 12 operating system, Apple has released new 12.1.3 software that's designed for the HomePod. The new HomePod software will be installed automatically on the HomePod after you update to iOS 12.1.3, but you can also manually update and check your software version by following the instructions in our HomePod software how to. As Apple outlined in its iOS 12.1.3 release notes, today's HomePod update addresses a few HomePod-related bugs. It fixes an issue that could cause the HomePod to restart and it addresses an issue that could result in Siri ceasing to listen to a command. 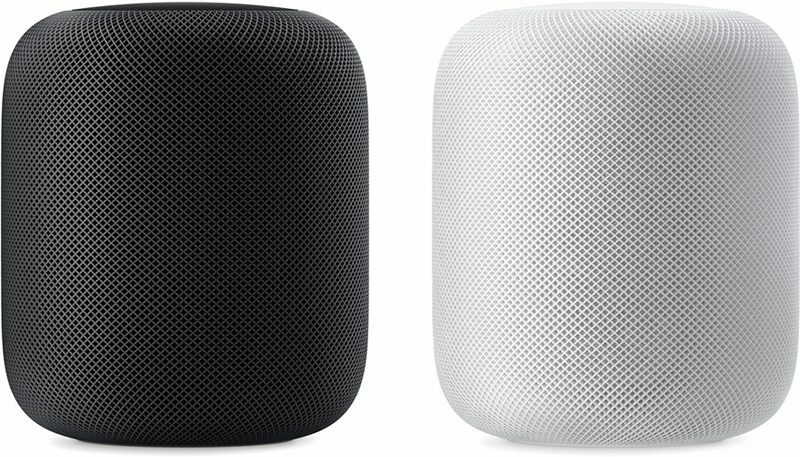 HomePod is currently available in the United States, UK, Australia, Canada, France, Germany, Spain, Mexico, China, and Hong Kong. For more details on HomePod and the HomePod software, make sure to check out our dedicated HomePod roundup. Really happy the Siri not responding/reboot issue is solved. Absolutely have had both of these problems on all three of my HomePods. It’s really easy. Go from the audio out port on the AirPort Express to the sub. I am using a 3.5mm cable from the AirPort to a 3.5mm to RCA adapter, which plugs into the RCA port on the sub. Then I just select both the HomePods and the subwoofer as the playback devices with AirPlay 2, whether that’s in my phone or my Apple TV or whatever. The sub is only capable of outputting low frequencies so there isn’t much adjustment that needs to be made. I manually adjusted the low-pass filter on my sub to my liking but that was all the tweaking I did. Finally! Siri has randomly stopped listening to me until I reboot the HomePod for weeks now! They just need to allow users to tune it. If there's one place where subjectivity and snake oil come into play it's sound quality. Seriously it's too bad that Apple can't sell multi-hundred dollar power cables for HomePod. Still not updated the very first update because everyone complaining about the sound change. Can anyone confirm this? It sounds great to me. However the complaint by some was about a decrease in bass and I use a standalone subwoofer connected with the newest generation AirPort Express. AirPlay 2 keeps the sub and my stereo paired HomePods perfectly in sync. It’s an awesome setup. Really wonder if there actually was a change in the sound signature. Never realized one, yet you can provoke a different sound with every recalibration inside your rooms. Besides, everybody not having paired his HomePods will be blown away once hearing the difference. It was immediate for me, I would be able to hear it in a blind A-B test: the bass was more anemic (the most disappointing), the soundstage less holographic, mid-range a little cleaner as a plus, but electronic (my preferred genre) less syrup-y and energetic in general. If you pair them, I'm sure the effect is diminished.. maybe they tuned it to be more for pairing? Who knows. I only wanted one HomePod for my apt. Enough people take issue with it, that I suspect its not just me. But not every one can hear or tell the difference. Or even have the original fw as a reference point. The 'loud' spectacle-filled sound is what drew me to HomePod in the first place! Almost a physics-defying sound signature. Get yourself a second one, especially with the current discounts. Do the update, pair them and enjoy. The sound will be better, else you waste nearly all sound potential in terms of surround sound. Ended up with 5 of them, meaning nearly every room now has two of them, all also are combined to a big zone. Love it, for me the HomePod and HomeKit is Apple’s biggest rollout since the iPhone, saying that coming from a PowerPC era. Just shared my experience, yet I got your description and purpose of acquisition. Airplay seems to connect from iphone to homepods much quicker than before.